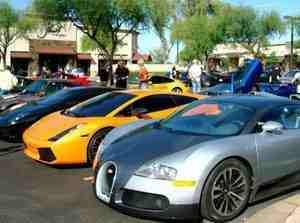 Wherever you are in America you will find cars and a car event. A race, a cruise-in, an auction, a rally, or some kind of car show. Cars have a lot to do with our way of life. Americans have a long-standing love affair with the automobile. Car ownership is a treated as a right and its part of the fabric of our culture. We accessorize and idolize motor vehicles. We may not have invented cars but we perfected using, buying and selling them. We cruise town for the fun of it. We love to pile in a car with friends or plan family Holidays around the "Road Trip". Granted, the country is big and we have plenty of places to drive: The United States highway network consists of over 4 million miles of roads and streets. We rarely look on a car as just a mode of transportation or a way to get from A to B. Cars are a reflection of our personality, our status, preferences, what we do and who we are. We look at cars as our ticket to freedom and a symbol of independence. Most Americans get a “Learner’s permit “ the day they are eligible (15 years 6 months in my State, Arizona). Aside from dense urban areas we don't rely much on mass transit so you need a car. It’s typical for a family with 3 kids to have 5 cars at their house. It’s not unusual for an individual to have two cars or a car and truck. We will own a score of automobiles over the course of our driving lives. 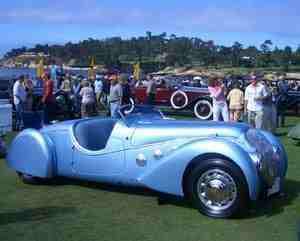 It is not usual for Americans to have multiple cars, collect certain makes or invest in classic cars. Many familiar icons of American life sprang from our lives being intertwined with our automobiles: Drive-In movies and “Car Hops” at drive-in soda shops. Beyond the Golden Arches, we have a drive through for every type of food imaginable. Why get out of the car when you have drive through? Drive-through banks, coffee shops, libraries, bakeries, automated teller machines, liquor stores, and drive in churches. If you are in a hurry, more than one Las Vegas chapel can offer you a drive–through wedding. A mainstay of American life is the 'Car Show'. We take advantage of any opportunity to display our cars or look at other people’s cars. It’s a typical social event in most every community. These shows can be anything from the prestigious Concours d’Elegance (a multi-million dollar collection for one-of a kind vehicles from around the world at Pebble Beach) to a local “Cruise In” (an unstructured ‘show’ with no entry fees and no prizes- a car meet-up). Around any town there will be a group of enthusiasts staging a car show every weekend and several nights a week. The Concorso Italiano, of course is all Italian makes, from Ferrari's to Fiats; exotics, muscle cars, just MG’s, only German brands, Corvettes, antique, vintage or any class of classic- you name it, there is a show for it. "The Good Guys" have 20 events annually across the country only for Hot Rods. 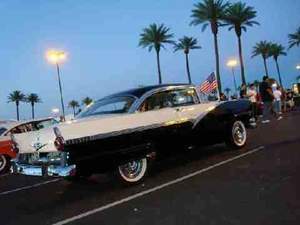 These car shows are three and four day extravaganza's attracting over 100,000 auto enthusiasts. 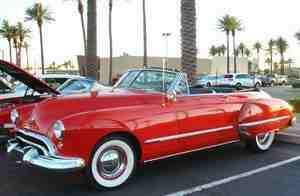 The car show in my neighborhood is held at the a 50's theme " Rock N Roll" McDonald's. 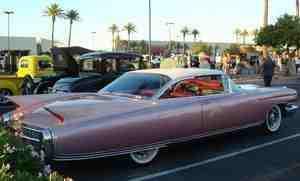 The restaurant parking lot is the site for what they term as the "World's Longest Running Car Show". 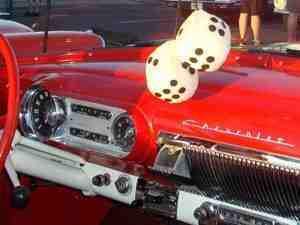 It is a come all, classic cruise-in on Saturday nights, that's every Saturday. This free event (for both participants and spectators) has been going for every Saturday for 22 years! The car owners occupy lawn chairs while families stroll up and down the aisles bee-bopping to "Oldies" music, taking in the shiny metal and recounting their car stories to the next generation of car lovers.